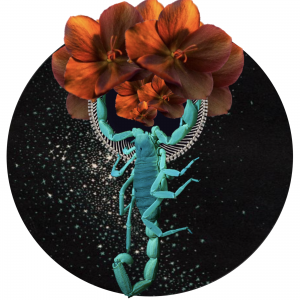 Here are your horoscopes for the New Moon in Aries. Your new moon horoscopes are meant to be read as inspiration. If you know both your rising sign and sun sign, please read both horoscopes. They both contain important information. You’ll know which resonates more for you from week to week. Take what works for you, leave the rest. If you want to share this work, you must quote it and link it to this post and website. Thank you for your support and for spreading the work around. We really appreciate it and you! April’s new moon in Aries feels like a clean break from the slush and storms of March. As Mercury finally separates from its month and a half long tango with Neptune, before, during, and after its retrograde, many things get sorted. Plans get picked up where they were left off. Missing emails reappear, and information comes back around to explain what wouldn’t make sense earlier in the year. 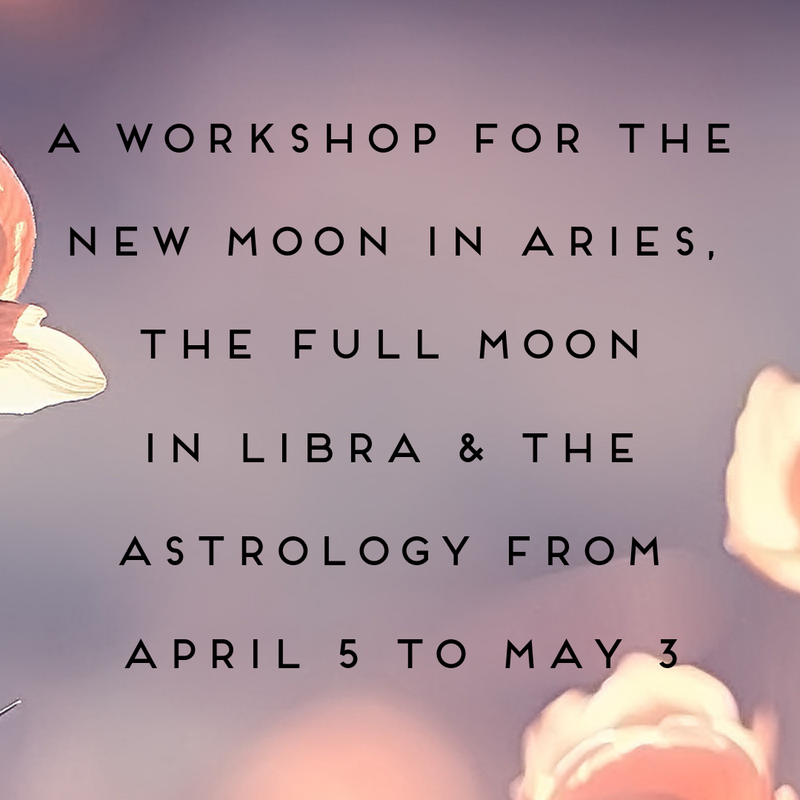 The new moon in Aries burns away the excess water that we’ve been wading through, and helps to reignite our relationship with our agency, discernment, and ability to transform ourselves through taking on the responsibilities that best serve us. Square Saturn and Pluto, this new moon tasks us with taking on the projects that are the most necessary for our growth at the moment. The point isn’t to be burdened with things that aren’t ours to carry; it is to learn to carry what we are responsible for with patience and persistence. 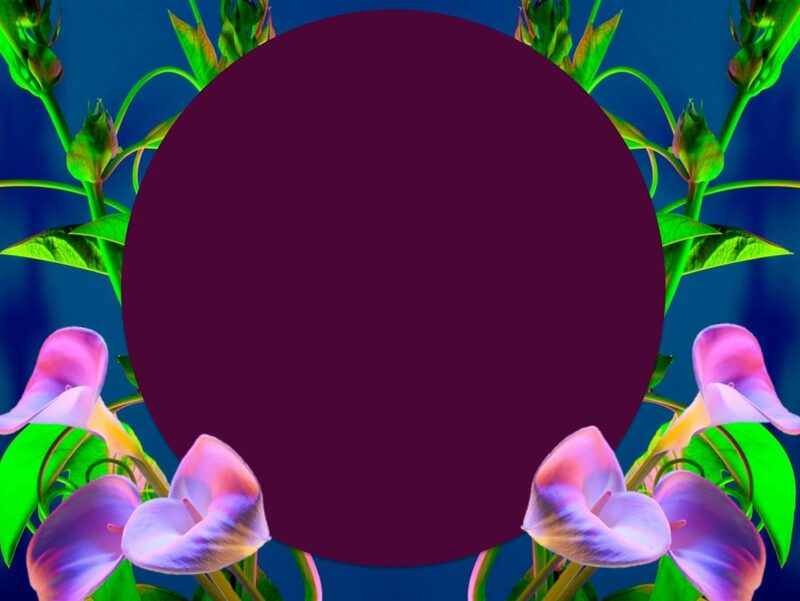 Trine Jupiter, this new moon promises a lunar cycle that will reward the work that we put in with a great blessing and gifts we don’t want to miss. Finally parting ways from Neptune, Mercury gets an affirming sextile from Saturn. This aspect helps us to piece back together the information that may have gone missing in February or March. Look for the solid yeses you receive from others and make sure you touch base with those you lost contact with earlier this year if you are still awaiting a response. 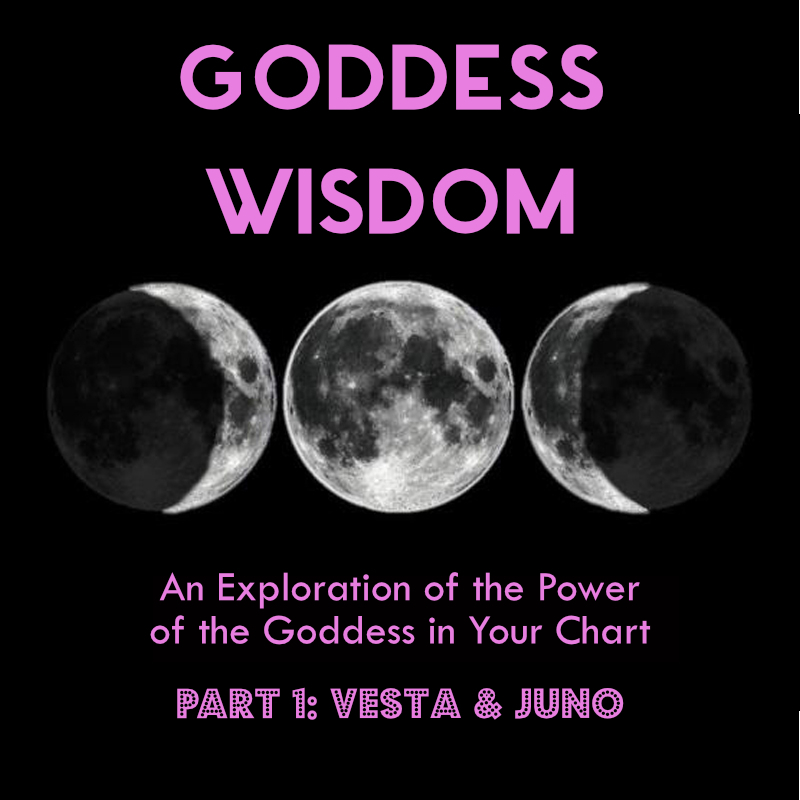 Ungrounded but incredibly inspirational, Venus and Neptune together are a dream-team of romantics. These love muffins will lift us up, but won’t necessarily remember to attach a safety net. This aspect is wonderfully soothing to the soul, creatively inspired, and reminds us of the power of being vulnerable, kind, and unconditional with our love. Give yourself a little extra today; tomorrow you’ll need it. Distinctions are incredibly important to make in life. Today’s astrology might feel rude, but it would be silly to take it personally. At this point in the year, we are challenged to distinguish between what we can do and what is simply untenable at this point. Leading up to today’s astrology, it’s imperative to not take on too many burdensome responsibilities. What you have on your plate now is enough, leave the second helpings for another meal. Making its yearly retrograde, Jupiter’s backward motion is nothing to fear. We don’t paint every planetary transit in astrology with the same brush. Planets that are slower, further away from the earth, retrograde for long periods of time, making their impact a little more subtle than the swift ones. 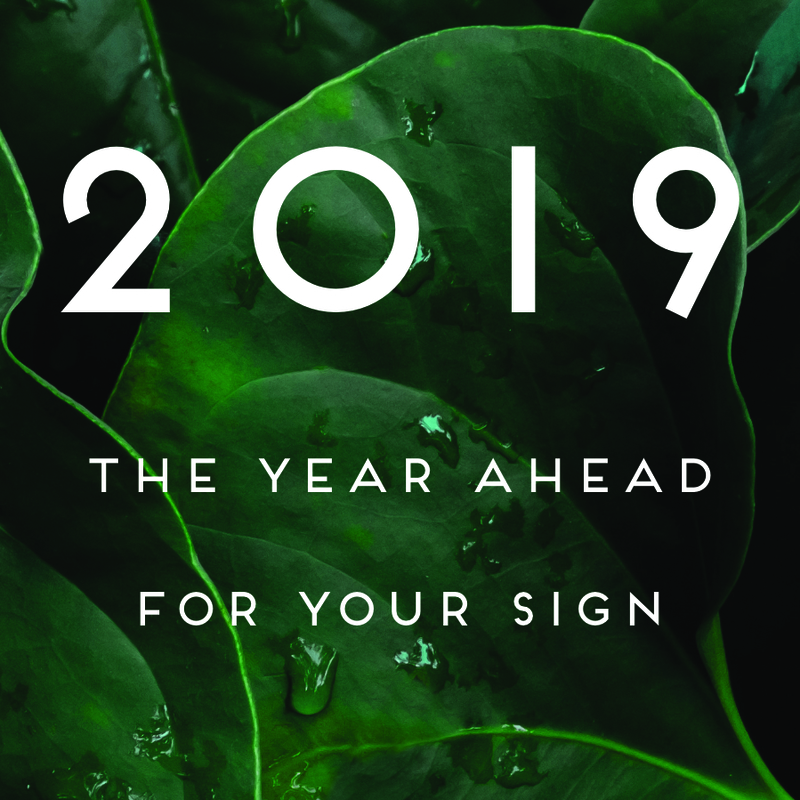 Retrograding through the later degrees of Sagittarius, Jupiter, planet of growth and abundance, wants us to review the expansion we’ve experienced in the area of our chart that contains the free-wheeling, fire sign. This is a time to weed out the growth that threatens to take over the field, strangling the more temperamental of your projects. Not everything can grow at the same time, seasons have reasons. Knowing which you are in helps immensely. As Mercury works its way through the last bit of its retrograde shadow, it picks up what it left behind earlier in the year. Today’s Mercury sextile Pluto happened back in late February pre-retrograde and again in mid-March when The Messenger was back tracking. Now, in its third and final pass with Pluto, Mercury gets to use this planet’s impact for forward movement. Take note of any conversations that you have that leave you with a strong impression. Powerful prose is delivered today, make sure to write down the words that touch your soul. Today, Mercury and Jupiter team up to make big plans. The mood is inspirational and optimistic, but not always realistic. Make sure you aren’t mistaking metaphors for facts, or future possibilities for current realities. Do take the astrology up on the offer to dream big, the lift in spirits is worth the price of the ride. Tomorrow’s astrology will challenge, but today’s helps. As Venus and Saturn snuggle up to make friends we are given the opportunity to solidify an agreement, make amends, or make a positive impression that is long-lasting. Whatever your agenda or wish list, reach out to those that have been on your mind or in your inbox awaiting a reply for a little too long. Today digs deep into the places we may wish to leave well-enough alone. Transformations aren’t cheap. Everyone wants to change what isn’t working, but paying the price to do so means admitting where we have gone wrong, gone unconscious, or gone astray from our integrity. Today’s astrology teaches us about what a waste of time and energy it is when we try to control the narrative others have about us while also encouraging us to heal the one we have about ourselves. One of the best days in the lunar cycle, today carries with it a definite mark of abundance and luck. All of the hard work that we have put in, from the new moon to now, is rewarded. What we have sincerely struggled with gives us ample amounts of insight. What we have learned to carry returns the favor and lifts us up. Whatever we have been lazy about won’t be rewarded, but the good feelings of today will smooth over any remorse we might have for better and worse. Another helpful hint from today’s sky comes via the Goddess and her consorts. Venus goes deep with Pluto and again, is rewarded. Cathartic connections, impactful introductions, and generous greetings befall us. Get out and meet someone, especially the ones you were meant to meet earlier this year but didn’t for one reason or another. Here, Venus and Jupiter gather to conspire for good. The feeling to spend, explore, love, and connect is magnified. Go big, but don’t break the bank. Finally leaving its shadow phase, Mercury crosses the threshold of its retrograde territory. In a new sign, Mercury steps out with a sharp style. With more fire than is good for some conversations, Mercury is made stronger with its current ruler in mutual reception. Mars (the planet that rules Aries) is currently in Gemini (the sign ruled by Mercury) assisting Mercury in Aries in any and all argument, point-making, and sharp tongue wagging. Spit-fire is the feeling with this combo, so be clear about the swords you set free with your speech. They will cut deep. I choose rebirth. I choose my inner-growth. I choose my process over the world’s production schedule. I refuse to feel shame for not meeting a marker I never held as meaningful. Instead, I tend to the creative fire in my belly, feeding the flames in sustainable ways. I know that bringing something into the world is both awe-inducing and horror-filled. Creation is just as much about letting the old decompose as it is about birthing something new into being. Every breakthrough is preceded by a breakdown. I give myself room to fail, get it wrong, make it right, and give of what I have received from the process. With this new moon I remember to parent all I want to usher into the world. I stay steady with what calls me until it has outgrown its need for me. Caring for my creations during each stage of development, without judgement, teaches me how to treat myself with the same unwavering encouragement. I refuse to criticize any seedling of potential in my life. The more I concentrate on doing what my life is asking me to do, the better I am able to do it. Obstacles appear less daunting when I don’t take them in all at once. Difficulties are less defeating when I keep my focus on the part of them that I can work on right now. Challenges feel less personal when I tackle the part of them that I know how to, working my way towards the unknown with faith that the answers will greet me when I get there. I am willing to receive healing that comes easily. I am willing to let slide what is too toxic to hold. I am willing to practice forgiving myself for being human until it becomes as solid as my ability to hold myself accountable for my impact. It’s so much harder to get to the solution if I am only ever harsh on myself. When learning the most difficult lessons I can still be kind with my process. I can still be considerate of my conditioning, circumstances, and situational disadvantages. I am willing to embrace the changes that I am going through as well as the repercussions of them. My mind might like them, but my body might need a moment to catch up. My heart might hope for more while my past might pull on my awareness. My work is to remember that growth is never one way. As I move out into the world, I move deeper into myself. As I move closer to the truth, I get more perspective on what I have misunderstood. As I reach towards what is freedom to me, I have a clearer view of the ways I have been bound. What was repressed is getting free, but that doesn’t mean it feels safe, familiar, or easy. I can be grateful and still getting myself together. Growing and in need of grounding. Awakening and still in need of deep, restorative rest. Healing comes when it needs to. The more I trust the times that take me under, the more faith I have that I’ll resurface, usually with greater swiftness than I assume. As I change my relationship to the ways in which my inner life reveals itself to me, I change my relationship to fear. Learning to discern what is a real threat and what is just a perceived one can be the difference between a good day and a difficult relationship to life. My well-being is connected to my community’s. My growth is connected to the goodness my people get to partake in. My wealth is woven into the abundance that those around me get access to. My success is not separate from that of those around me. I work with this new moon to imagine an uprising of our collective joy. I work with this new moon to tap into those around me already blazing trails towards prosperity for all. I work with this moon because I know that if I don’t I can’t blame anyone else for what I haven’t done. I am refreshed by those in my spheres that orbit solutions. I am blessed each time I take a moment to soak up fresh takes on how to dismantle our most challenging obstacles. I am strengthened each time I remember that my critique is essential for understanding a problem, but I am also here to embody and live my life as one of many solutions. I build a home for the work that excites my soul. I carve out space where there was none. I do all I can in order for my creativity to have a chance to manifest. To take root and flight out in the world. Without asking for permission. Without asking for forgiveness. Without worrying if it will be successful. I work to please the energy that brought me into being. I work for the creative intelligence that ushers all life into form. I work with this new moon to be bolder, louder, and unapologetic of how I go about my professional pursuits. My intention for this new moon, and every one after it, is to be honest about what I want and what I am willing to do to manifest it. I refrain from complaining about what it takes to do so. If I want it, then I welcome all the work necessary to pursue it. If it becomes unbearable, I take a break. When I receive a sign to slow down, I take the whole process in stride. I take rest as seriously as I take action. I take time out to drop in. I continually take a deeper look at what is driving me, making sure it is connected to something bigger than me. Making sure that I am still excited about the possibilities that open up to me through it. Making sure that when I look at what I am working on in the world, it is a clear reflection of what I am working through and getting to internally. No one else need know it, but when I witness it, it witnesses me too. As my roles in the world change, so do my goals. I am awakening to what I am capable of. Awakening to what I am able to do with the talents I have access to. Awakening to the dreams that have always been within me, even if deeply dormant. I am allowed to change course, change shape, change my point of view depending on what opens up to me. Changing my perceptions of what is possible is normal given my current circumstances. When little is dependent on me, I am free to risk the most. When many are counting on me, I risk thoughtfully. Whatever I am free to wager, I bet on myself. On my dreams. On the most natural manifestation of my talents. I know that taking a chance is a luxury, so each one afforded to me is approached with deep gratitude. Discovering my purpose is a privilege that I don’t take lightly. I do so as a way of freeing my potential, but also to be a part of freeing our collective potential. Below me are the shoulders I am blessed to stand upon and with them under me, I reach for all who could not, did not, and would not. I can always begin again. As many times as is needed. As many mornings as I am blessed to wake to, I get to restart. There are many new avenues for me to venture down, new roads to wander, new trails to blaze. If one wasn’t working, I won’t worry about it. The ways in which I engage with what is difficult need not make it more so. I am willing to release myself from what doesn’t work. If it wasn’t meant for me, I won’t waste time grieving it. I’ll give it gratitude and get on with my day. With this new moon I work to untangle myself from the collaborations that are no longer viable, reinvesting in the ones that are. I double down on the joint ventures that help me to develop the skills that serve my whole life. I work with this new moon to respond to any sadness, despair, or difficulty with greater compassion than I have been known to. I know that the more understanding I show myself, the more accountable I can be when my mistakes and missteps are more glaring than usual. There is no issue that I hold alone. No sorrow that is mine alone. No problem that I am up against all on my own. Someone before me has held the same sorrow. Someone beside me has struggled along the same path. Someone after me will look up at the same hill I currently climb. I call on their wisdom. I call up my own. I continue to do what I can, but I remember that I am never acting in isolation. 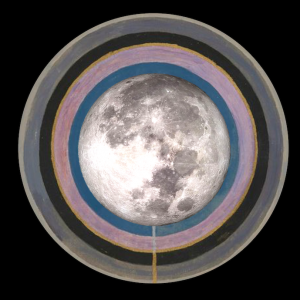 With this new moon I remember all those I am related to, in relationship with, and in this life alongside. With this new moon I give up on thinking that I have to go it alone. I know that line of thinking is a facet of a system that refuses the power of interconnectedness. The lines that weave between you and I and them and us weave an incredible web of connection. I can feel loneliness and still know I am loved. I can feel cut off from solutions and still know that feelings aren’t facts. I have found my way thus far, and there is no reason why I won’t again. I can be celebrated by massive crowds and still seek the sources of connection that are quiet, solid, and grounded. A little healing comes my way each time I give myself the freedom to express what is in me. With me. Wanting to work through me. A little love comes my way each time I remember to seek it. Put myself in the way of it. Bring myself to its wells. A little joy is injected into my system every time I remember it as my birthright. My soul’s natural state. My pleasure may be political but it is my place of deep, personal restoration. With this new moon I remember to bring my heart to work, my soul to my professional projects, and my spirit into all aspects of my life. With this new moon I reconfigure the work rituals that are inefficient. With this new moon I cut out what is deficient in the nutrients my professional life requires. I know that the inner work I do realigns me with the work I most want to do in the world. I take every opportunity given to me to develop myself, to understand myself, my skills, and my natural talents knowing not everyone gets such a gift. Friction is essential to ingenuity. Creative energy thrives in discomfort. Mine seeks answers to the heaviest issues I am carrying. It’s not the weight of the work I have to do that I need to worry about, it’s only my resistance to finding solutions to it. This new moon reminds me that the most interesting answers come when I am willing to find a crack in the densest of the issues I’m dealing with. All I need is a fracture to make a breakthrough. All I need is to keep myself on schedule with my creative projects. All I need to do is build it and see who comes, what they bring, and what joy is to be had when I remember that I’m not in this alone. This new moon reminds me that little moments of pleasure move mountains. This new moon reminds me that I need to defend my right to do nothing of great importance for a time. This new moon reminds me that my creativity needs to be taken out on the town, let loose, and given a break as much as it needs to come to work with me. With this new moon I remember the parts of my past that are in need of my attention, compassion, and understanding. Healing requires attentiveness. It asks me to revisit the scenes of the crimes and celebrations. It challenges me to understand myself and my foundations from a wider perspective. It rewards me with a deepening of my appreciation for all I’ve gone through, all that my foundations are built upon, and all that the equation of my life adds up to. Being willing to understand the entirety of my story requires my patience. It takes lifetimes to sift through a lifetime. With this new moon I recommit to telling my tale. Connecting the dots. Weaving the length of my journey into the baskets that can hold its meaning. Telling myself the truth isn’t always easy. It requires that I look into, and not away from, the less favorable of my actions, attributes, and all that I fear I might be. It requires that I develop a connection with myself that is strong enough to withstand the challenges of accepting how human, how flawed, and how worthy of forgiveness I am. I am abundance. Any worries I have of a scarcity of talent or an unworthiness of wealth are not a reflection of who I am. Unhelpful thoughts are just an aspect of my mind which is retrainable. I remain teachable. I remain open to a new way of thinking about my value add. I reclaim any aspect of myself that has been covered up by conditioning. I am here to bring something new into being, which means I may not have many paths previously carved for my specific journey. I may not have many who understand what I do, or why I need to do it the way I do. I may not have a lineage that is obvious to the masses, but just under the surface my predecessors have always been rooted in how to go one’s own way. I know I’m not the first to break free of the traditions that don’t serve the soul. I know I keep good company, and I carry that knowledge with me. With this new moon I remember to infuse my meetings, greetings, and interactions with this sentiment. I build my days around the connections that remind me of who I am and what I have to do here. The most meaningful realizations often come out of misunderstandings. I am made better by those that I’ve been able to work through. I’m grateful for the awakenings that have interrupted my ignorance, granted me a deeper understanding of where my thinking had been shallow, and given me the opportunity to grow. I know that self-development requires effort. It demands that I be willing to be uncomfortable. Willing to understand what causes me to recoil. Willing to hold up to the light what I have wished to have locked away and out of sight. I am in awe of the healing that happens when I risk witnessing myself. I am working on not mistaking an essential part of my process for a mistake. I am receiving the blessings of bearing witness to my own growth. It’s messy and perfect. It’s unruly and I want it. It’s mine and I claim it. With this new moon I make a fresh start in my financial life. I recommit to making investments of my time, energy, and talent with the people and prospects that have proven to have integrity, depth, and creative ingenuity. I honor any limits that I currently need to work within, knowing that doing so is a creative challenge all on its own. 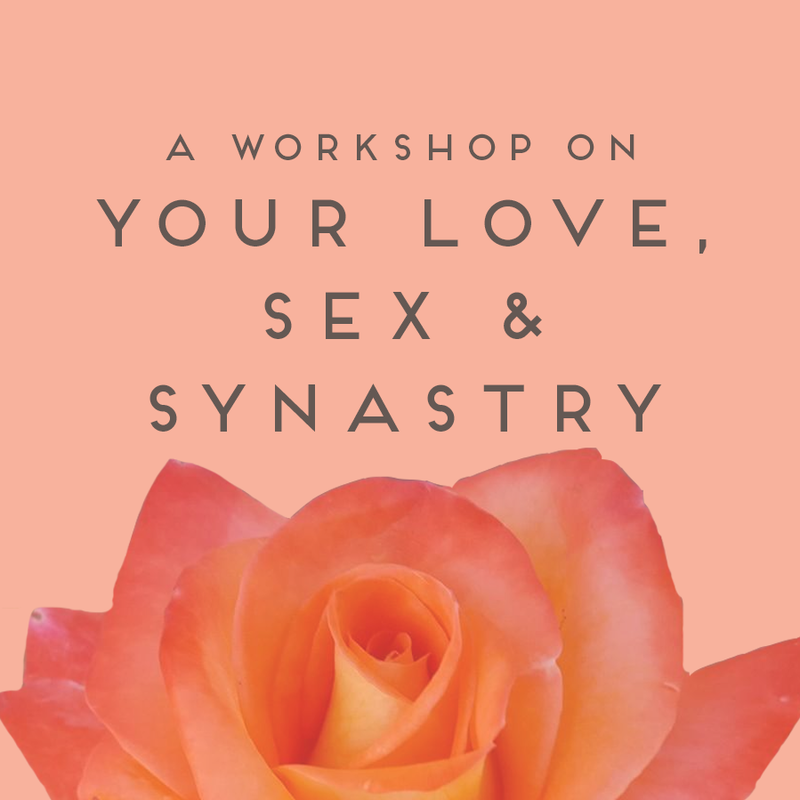 Sign up for my newsletter to receive weekly love notes in your inbox - we’ll send you horoscopes, courses and updates on the current astrology, and details of upcoming events. I don't share your info with anyone else. If you like what you read each week, if you find solace or inspiration in these words, or if you just appreciate the occasional pep talk, consider making a small monthly contribution. Sign up for my newsletter to receive weekly love notes in your inbox - you'll receive horoscopes, updates on the current astrology, and details of upcoming events. Yes, I want to sign up for the newsletter! Terms and Conditions checkbox is required.